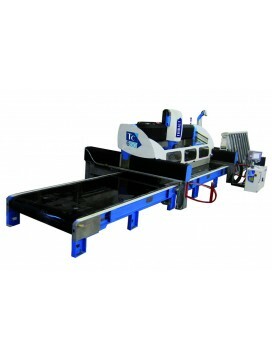 Block & slab sawing machines. 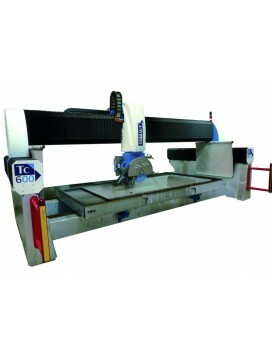 Quality brands include Thibaut bridge saws. 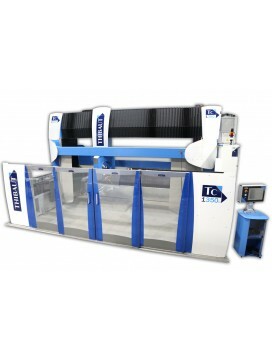 Numerical sawing center, the TC650 can be used as a traditional sawing machine but also as a 5 axes machining center, thanks to its 5 axes.Due to its beam of 2700 kg, its carriage of 790 mm wideness and its total machine weight of 8 tons, ..
A production center5 axis CN machine (3 or 5 interpolated according to the versions), the TC1350V2 permits to make cuts in all directions automatically without moving the slab.The 360° disc rotation does not require any turning table.A versatile mach..